Women — What's Next for Your Career? 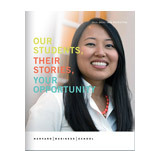 Be on the lookout within the next week for an invitation to participate in the 2014 HBS Career Pathways survey. It is being sent to a random sample of alumni who graduated within the past 30 years. 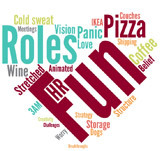 Aggregated results will be made available to those who participate and will also be used by HBS Career & Professional Development to refresh website resources and enhance career coaching services. The Women's Student Association's 2014 conference aims to take issues around women in business from dialogue to actionable next steps for today's world. Open to alumni. Digital and mobile technologies have transformed customer interaction and behavior. Professor Sunil Gupta will discuss trends in digital technology and a framework for digital strategy. Can Putin Score Olympic Gold? Copyright © 2014 President & Fellows of Harvard College.